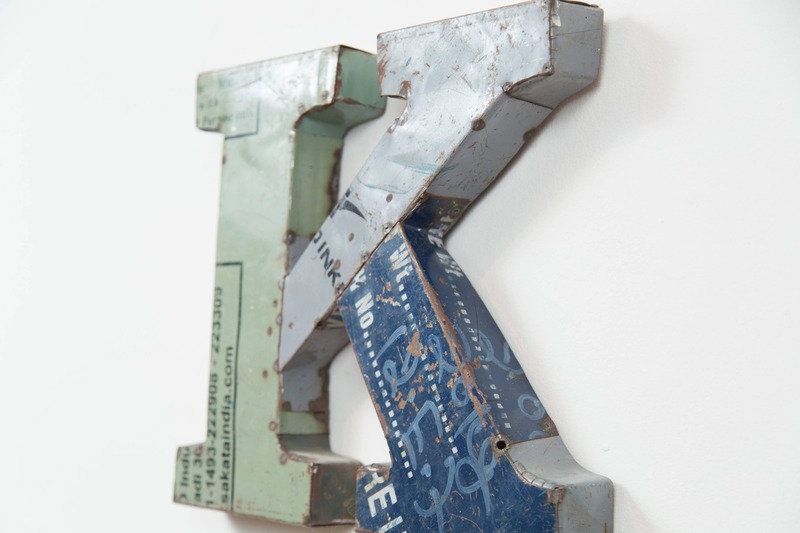 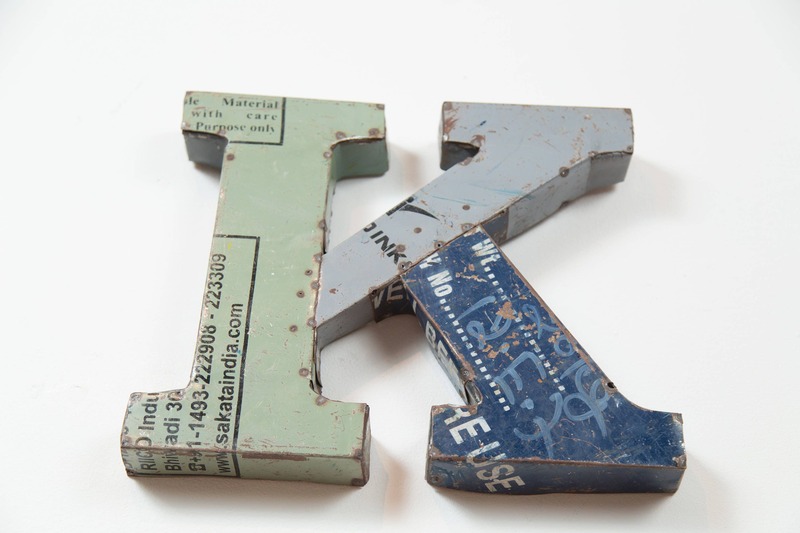 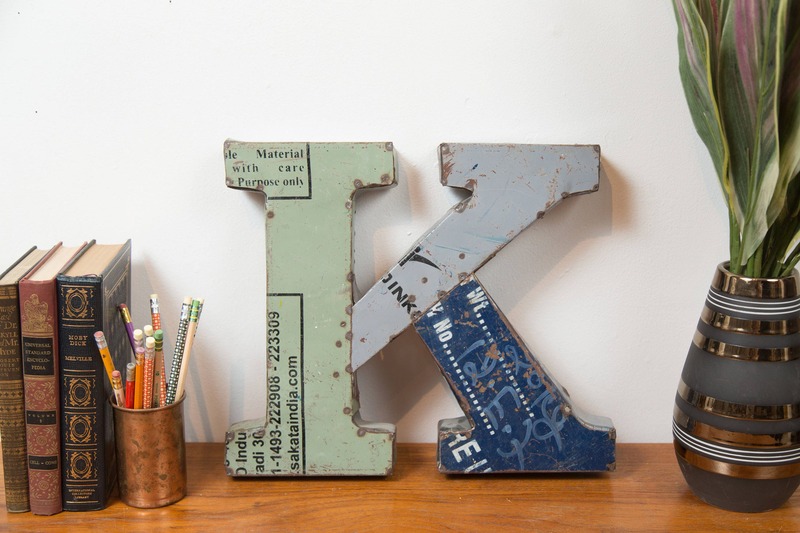 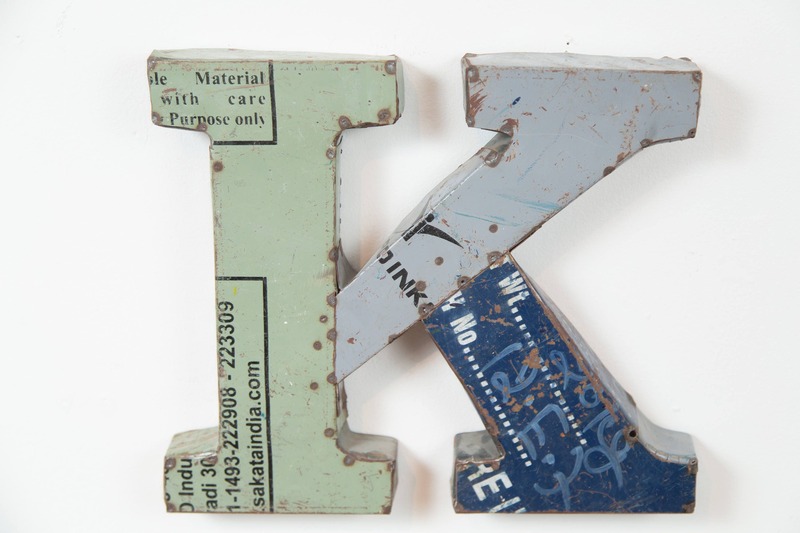 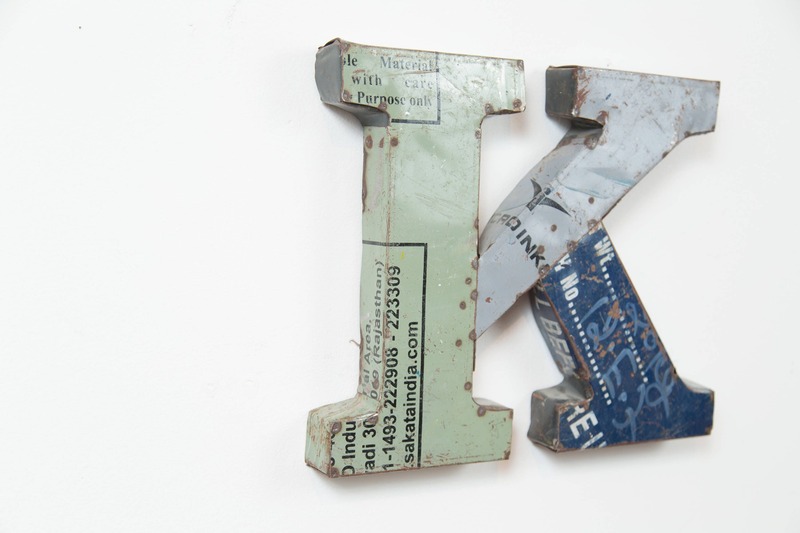 This is a fantastic metal sign letter "K". 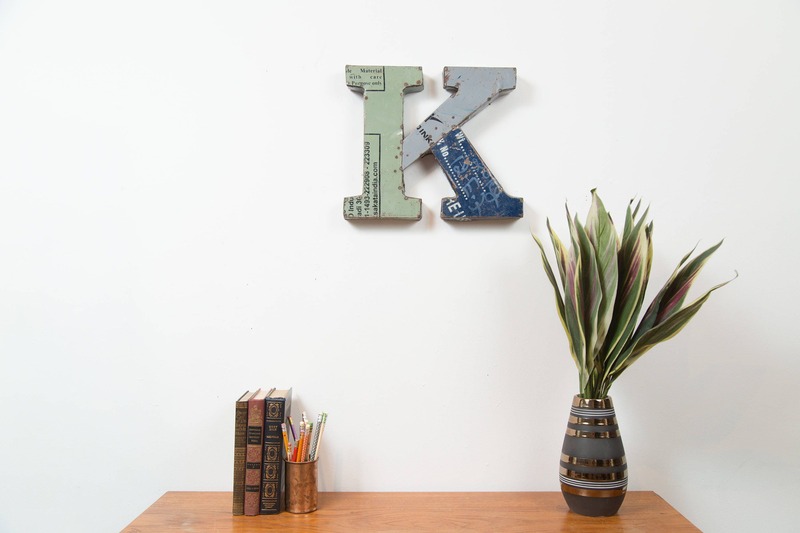 It could be hung from your wall or it could free stand on a table or shelf. 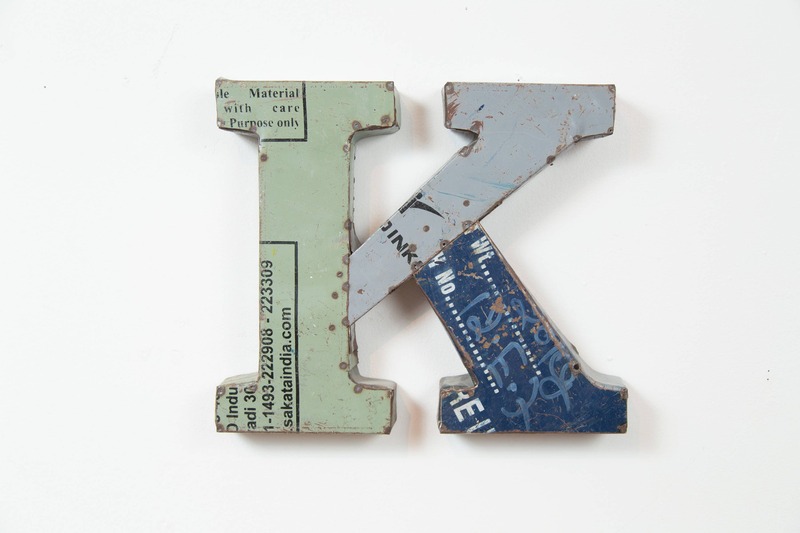 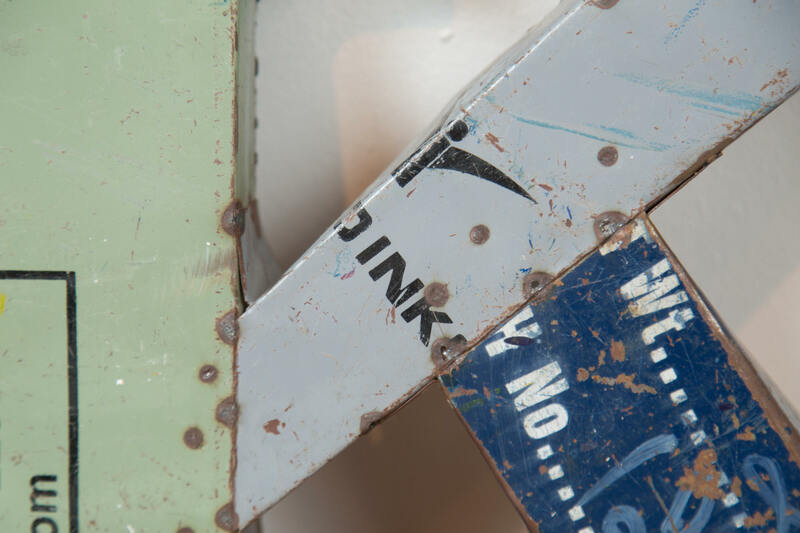 It is made of recycled metal scraps. 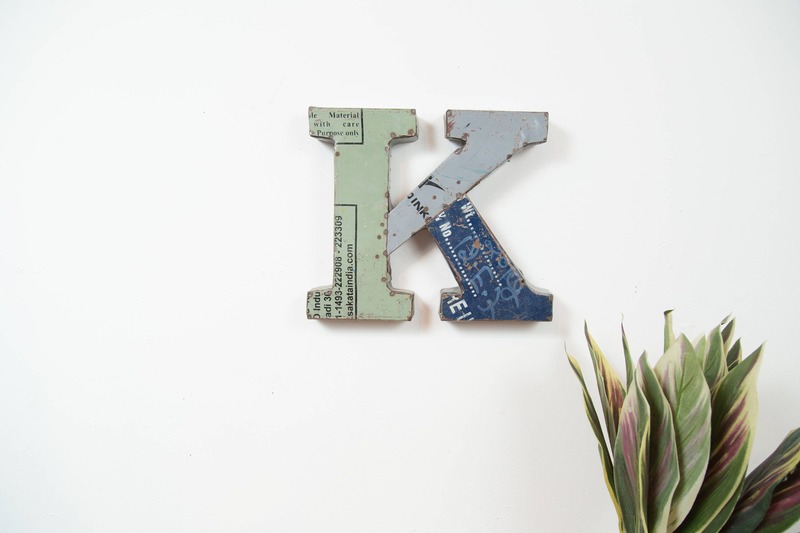 Very unique and one of a kind!